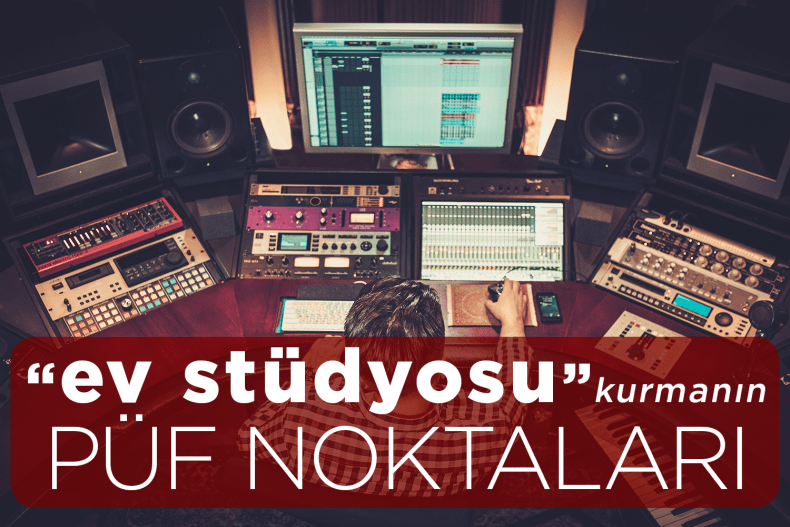 Are you ready to build a home studio and learn the key points to become more efficient? You don’t have time to go to the studio for recording? Have you moved out of your long-term city temporarily? Is it too costly to build a studio for you? Then let’s look at the equipment and space required to set up a home studio in the comfort of your own home. 5 basis equipments and a soundscape room with sound insulation are indispensable. Of course, we are not talking about a professional studio in an acoustic environment, it is just your home arranged to these conditions in order to record. It may even be a corner in a room of your home. We need an area of ​​two square meters in total. What equipment do we need to build a home studio? Of course, the computer is one of the most important home studio equipments. It is very important to choose which system to use of MacOS or WINDOWS, since the choice of the computer will determine the choice of the equipment you are using. Because the MacOS equipments will not comply with the Software WINDOWS. When you run Audio Software and other programs at the same time, you should choose a computer where you can get trouble-free performance. In short, your computer must have a new generation of CPU. RAM should have a large storage capacity of 4-6 GB. DAW (Digital Audio Workstation) is known as digital audio rendering software. The audio renderer programs include the ones with the instrument + voice recorder or just voice recorder. The software we are interested in are only voice recording ones. Programs such as Sound Forge, Goldwave, Cool Edit, Audition, Pro Tools are among the oldest and most used audio rendering programs. The point to be underlined here is that the difference in sound quality is not affected by the different software. That is, a software expression that improves sound quality is a false expression. The sound quality is related to the soundboard. You can purchase an easy-to-use and licensed audio edit program. Soundboards, ie coders, are among the most important equipment of the audio recording process. Soundboards determine the quality of sound. Recording software (DAW-digital audio workstation) is a technology that transmits digital audio signals from the microphone and transmits it to us instantly without any delay. Any sound on your computer is transmitted by your soundboard and you only need to use your creativity and program successfully. Make sure you have a Phantom button on your preferred soundboard because if your microphone is working with a condenser and phantom + 48V, you may need this button. If you’re going to choose a microphone to use in the home studio and the background noise is more than a professional studio environment, you should prefer condenser microphones. However, the high-impedance dynamic microphones are also in the category of microphones suitable for the home studio as they will only get close-up sounds. Microphones are also among the equipment that directly affects sound quality, such as sound boards. The right microphone is not necessarily the most expensive microphone, but the microphone with the best aperture for your sound range is the best microphone for you. To find the most suitable microphone, consult to microphone compare sites. You can hear sound quality as well as make comparisons for the microphone you are interested in. Reference monitors and headphones allow you to hear reference sound. It allows you to hear without making sound remedial additions such as effects, plugin, EQ or bass. This is very important. The headphones and monitors you use in your home studio should be preferred as a reference monitor. Because you hear the sound you record in a pure state and you will understand whether or not it is okay. It is highly recommended to have sound-absorbing items such as carpets and curtains in the room and the room to be not empty. In addition, an acoustic panel should be purchased around the microphone and a pop filter should be used. It is impossible in the home environment to prevent the noise picked by the microphone. We recommend that the microphones used for this purpose to be selected as a microphone that can be used to receive close-up sounds. Acoustic and sound insulated in-home cabins will also be suitable for the recording. Our last advice to those who are going to build a home studio is that you should work with a voice-over agency And we recommend that if set up a home studio, do not work informally. We are sadly informed that the finance ministry has taken the people who have worked as a freelancer informally from their home studios under supervision and has imposed fines. In our country, we need to pay attention to the violations for the welfare of our sector and trade. We hope that your life will be in good sound quality. Peace be with you.